so the next batch E29F is French Nap only. Good news at last on the main hat web page its also got the unmarried Zulus & Prussian sets listed for general release as well exciting times for us Nappy fans this feels like a the start of a new golden age at least for the Napoleonic wars figures anyway. Yay! E29F is great news for my Armee du Nord. Greatcoats finally!! All of those sets will be on my purchase list, I just hope we don't have to wait years for this!! Great News I have been holding off buying more Nap French Infantry from other manufacturers hopping Hat would get these fine French infantry into the shops, and this could mean a well deserved retirement for the old Airfix, Esci and Italeri French infantry. We got a cheeky, sneaky preview of this news a month or so ago, but it is fabulous to have it confirmed. Seems that Hat were sitting on their hats, no doubt champing at the bit, as the natives got restless about the lack of updates. Then, the time was right and ripe and we receive an avalanche of good news! HäT admin can we get some info or even previews of the greatcoats? I assume they are with shakos? Maybe the old greatcoats set could be restocked too? HäT admin can we get some info or even previews of the greatcoats? I assume they are with shakos? Maybe the old greatcoats set cpould be restocked too? I just looked at the Hat Twitter page--looks like painted examples of 8234 and 8294 in the banner photo! Yes it does, looks good from what I can see. I found the Test shots done by a regular Hat test painter called Sander who as always has done an excellent job. I believe they are 1/72 versions of the figures in the 1/32 sets. I'm looking forward to when they get round to the command set with that awesome looking officer. 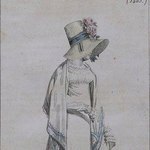 Could someone help me in the Napoleonic greatcoats jungle (I'm a Napoleonic novice)? 1. Will the new Greatcoat set work for several sides? 2. Is it appropriate for Austerlitz for any side? 3. Can the old greatcoat set 8146 for 1805 be used for any side during Austerlitz? 4. I'm also interested in the Revolutionary Wars, can the 1805 set be used for any winter campaign or battle? Any interesting actions to depict? With greatcoated figures sometimes it's the length that makes a difference - with the Brits for example there was a capelike portion (don't know the name off the top of my head) - with other armies you have to watch the headgear - style of shakos. Head swaps would switch these figures to early era French if you didn't look too closely. It really depends on how particular you are, I suppose. 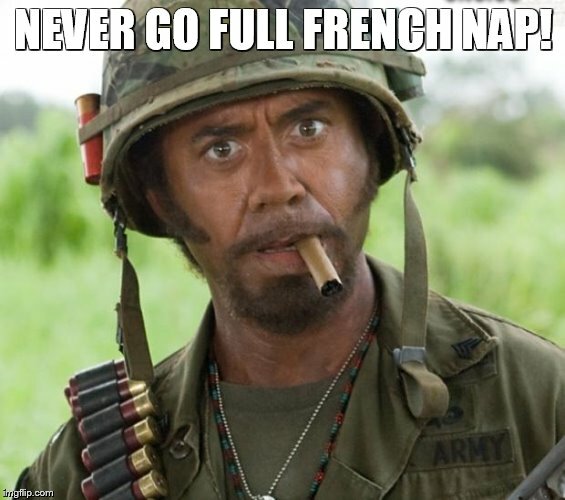 I like to be as close as possible within reason, but at the same time when you think about it - they're your guys; if you wanted to take some World War 2 US GIs and say they're French and can live with that - more power to you. 1. Will the new Greatcoat set work for several sides? Only with head swaps, Greatcoats and knapsacks may also differ slightly. 2. Is it appropriate for Austerlitz for any side? for the French this set 8146 is perfect. 3. Can the old greatcoat set 8146 for 1805 be used for any side during Austerlitz? The Austrians you need Leather Helmets and Russians you need the shako from set 8072 without the Grenadier plume for infantry. 4. I'm also interested in the Revolutionary Wars, can the 1805 set be used for any winter campaign or battle? Any interesting actions to depict? set 8146 would be best for the French although they also wore variety of head wear as did their opponents. Hat's new set French Infantry Marching in Greatcoats is ideal for French Light Infantry and some Grenadier units from 1806 to 1815 but, would pass for the regulars French Infantry (fusiliers) for those dates by cutting off the plume and painting the Shako. Having said all this as Wayne said it's really up to you, this hobby after all is about having fun. Head swap (other method's are available). Napoleonic History and uniform site (this websites is vast so don't get overwhelmed). Plastic Soldier Forum (every 1/72 scale set of figures reviewed). Thanks Brian, seems like a lot of work to make it authentic, I hope HäT acknowledges the need for more winter sets for different sides and periods. Sorry but couldn't resist ... but the full french nap is a good thing though! It has always puzzled me slightly. So far as Line Infantry is concerned, the set appears to represent flank companies/elites only, though is not so labelled. I would suggest that they may not prove a suitable basis for conversion to Revolutionary infantry; I believe that greatcoats were introduced from 1805. As has been mentioned, for the period 1805-1807, there is a dedicated HaT set of great-coated infantry. Well, if these 3 poses represent the entire set, they must be elites only, in Line Infantry terms, because they all have epaulettes. Further, they wear both cross belts suggesting they carry a sabre (the hilt is visible on the left-hand figure), so post-1812, they could only be elite/flank companies. I do not think they are suitable for later period elite companies, however, because they wear shako cords. In 1810 both shako cords and plumes were discontinued, though may have continued to be issued/worn until stocks were exhausted. From the 1812 Regulations (effective from1813), elite shakos were supposed to have braided chevrons in any case. So, on the face of it, these figures would suit Line Infantry Grenadier and Voltigeur companies c.1807 to c.1810-12. Even so, there are some possible oddities. These figures are wearing trousers over their gaiters, suggesting campaign dress, and greatcoats, suggesting cold, or foul, weather, but uncovered shakos and the cords and plumes that I am sure many soldiers would have wished to reserve for parade wear. I accept that these items could be worn in the field, so I daresay that this is a legitimate combination, but a shako cover would have hidden a multitude of sins. Though hard to make out, the shako plate doesn't particularly suggest the lozenge plate typical of the Line Infantry in the mid-Napoleonic period. It seems possible that the picture shows an eagle plate. The later eagle-above-crescent plate introduced by the 1812 regulations would be inconsistent with the presence of cords, but there seem to have been plenty of eagle plates used by the Line, particularly earlier in the post 1806 period, though I think the lozenge or diamond shaped plate would have been more typical. All in all the set has rather a "Young/Middle Guard" feel to it, e.g. Fusiliers-Grenadiers (in which case the great-coats would be blue). The combination of epaulettes and shako furniture, including the possible eagle-design plate, suggests this to me. I believe these are scaled down from figures in the 1/32 sets which are labelled as elites. Thank you, that makes sense (and some very nice figures), but, of course, HaT merely create a pressing demand for 1808-1812 Fusiliers and Command in great-coats!! So, if these are worth re-scaling to 1/72nd (despite being confined to "elites"), dare I ask, are not the British Peninsular Light and Heavy Cavalry sets worth re-scaling from 28mm?!? HäT admin, what happens to the ACW? Will it be in the crowdfunding section or not? The voting suggests the ACW and Austrians are in the lead so why not allow us customers to choose either one or both? Planning to scan this set in. A concise but acceptable answer, thank you HäT admin, I hope this means it's nearer to some completion and eventually release. I have just been admiring some of your fantastic ACW Diorama's on Benno's Forum and with you new found interest in the Napoleonic era, in particular Napoleonic figures in Greatcoats, a thought has occurred to me do you think you maybe getting a bit obsessed with Grey, Blue and Brown uniforms? or are you in possession of several tons of Grey, Blue and Brown paint? I got attracted to the the Napoleonic era above any other era mainly because of the beautiful and brightly colored uniforms and only have Greatcoated figures as a contrast to make the brightly colored ranks of men stand out even more. Have a look through Alexis amazing website it has all the uniforms from the Waterloo Campaign. I think with your painting skills your going to love painting Napoleonic armies although you may need your sunglasses.